I have heard of marijuana referred to as a lot of things, but “weaponized” is not one of them. In New York City this has become the new pet-name for synthetic marijuana, with police officials claiming that it gives users super human strength, makes them impervious to pain and can be bought for as little as $2 across New York. Illegal synthetic marijuana, or “weaponized” marijuana as police are calling it, is spreading across New York, particularly the city’s homeless population in search of a cheap high but who often wind up hospitalized or dead. Little is understood about the drug, also known as “K-2” or “spice.” A spike in hospitalizations this year, some deaths, and camera footage of crazed and violent users have prompted police to act. Synthetic marijuana refers to herbal mixtures sold in small packets that often contain shredded plants and chemicals that when smoked can cause hallucinations, paranoia and even cardiac arrest. A federal ban on compounds found in synthetic marijuana products was enacted in 2012 and it is illegal to sell it in New York State. One video streamed at Tuesday’s press conference showed a naked man, who police say was high on synthetic marijuana, ranting and smashing a hole in a wooden fence with his fist before being pepper sprayed and wrestled to the ground by a group of officers. In another video a man, also unclothed, crouched in the middle of a street, delirious, screaming at the ground. Between April 1 and July 31, more than 1,900 people were admitted to hospitals in New York State after taking the substance, the NYPD said. One man high on the drug used his hands to stop an electric saw being used by police to open a door, Bratton said, leaving him covered in blood. Sounds like a familiar story of mass-hysteria based partly in fact – but here is the part they get right: synthetic marijuana is unpredictable and is laced with chemicals that are ever-changing; the side-effects of these pot knock offs are unknown. Another casualty of the drug war, the quasi-legal profiteers in chemical labs are churning out chemical concoctions with no regard for the effect on users. Oftentimes these drugs are what marijuana users turn to when they cannot smoke the stable, tested, and natural stuff, usually because of court ordered or employer required drug testing. 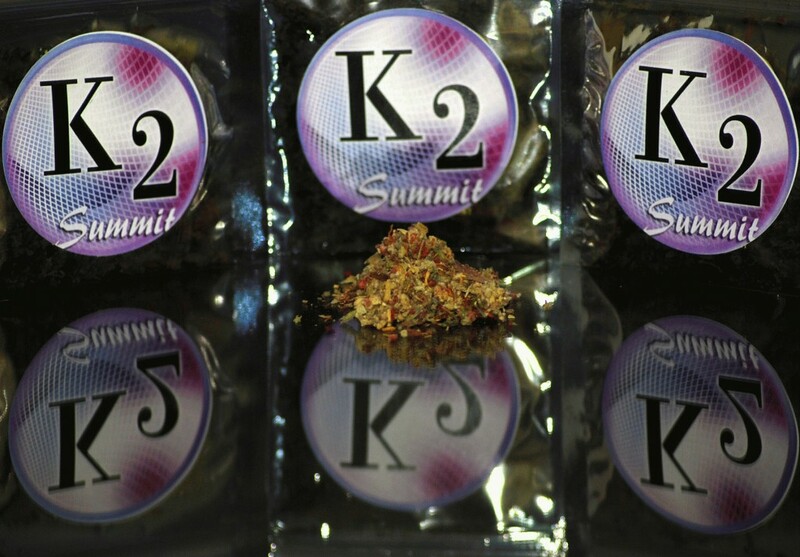 In Texas Synthetic Marijuana has a special category in the Texas Health and Safety Code, “Penalty Group 2-A.” Punishments by weight are equal to marijuana, meaning that less than 2 ounces is a class B misdemeanor, 2 to 4 ounces is a class A misdemeanor, a quarter pound to five pounds is state jail felony, and more than 5 pounds gets you into a TDC facility. What qualifies as a controlled synthetic marijuana in Texas? Under Chapter 481 of the Texas Health and Safety Code, there are nearly 100 identified chemicals the legislature has designated as synthetic cannibinoids. However, the chemists that concoct the chemical solutions that are sprayed on the new batches may not yet be a controlled and regulated chemical. If you are arrested for possession you should hire an attorney, to ensure that you actually were in possession of a substance that is illegal. BEEN ARRESTED WITH K2 / KUSH / SPICE?